And this company isn’t the only organization dealing with disruption. In fact, running Qualtrics is, in some ways, like being a therapist. It’s like I have a couch in my office, where every major brand comes by to visit and talk about everything from new product launches and customer programs, to employee growth challenges, to brand perceptions. With more than 9,000 clients running hundreds of thousands of research projects on our platform, we have a crow’s nest view on what’s happening in the markets. Some of the world’s top brands across all industries are tackling cutting edge questions with Qualtrics. As we work with them, the same trends keep appearing everywhere, across every industry. Here are the three major trends that are affecting their businesses. If they haven’t hit yours yet, they will. In December I had another interesting couch session with one of America’s most iconic brands — a Fortune 100 company with almost $40B in revenue and more than 100,000 employees worldwide. You see, 60% of their workforce is retiring in the next 5-10 years. When they looked at their operational data they could actually see the exact date their workforce would be insufficient to manage the company—and it wasn’t that far off. Sounds like a hiring problem, and the answer should have been simple. But when they hit the gas on recruiting, they were shocked to find they couldn’t attract Millennial workers to their brand. The symptom was a hiring problem, but the root cause was actually a brand problem. It wasn’t resonating at all with Millennials. This was a crisis moment. They were about to lose a majority of their workforce and could not attract even a fraction of their replacements. They were completely blindsided by their brand perception. Gaps like these are dangerous. Even the smartest most data-driven companies are getting surprised by these gaps. Organizations have more data than ever but are still getting blindsided. Clearly, the answer isn’t more data, it’s different data. Why? Because businesses are reaching the limits of what they can know and predict through operational data and are looking for better measurements. Organizations are searching for a new kind of data, a better angle on today’s challenges. Everyone is on the hunt for experience data, because it brings the people your business cares about into your strategic conversations. Whether it’s your employees, your customers, or even your prospects, these are ultimate providers of value to your company. And giving their experiences a voice puts you a step ahead of the competition. But first you have to close a gap. We live in a new world. A world where companies are disproportionately rewarded when they deliver great experiences. And punished when they don’t. Only 8% of customers agree! This is the Experience Gap. It’s massive, and it lives in every organization. There are product gaps, customer gaps, employee gaps, and even brand gaps. There’s a gap between what we think is going on, and what’s actually happening. Businesses have been trying for years to close the gap, but with the wrong kind of data. Companies that are truly closing the gap understand that there are two kinds of data: operational data and experience data. O-data: Operational data are things like sales data, finance data, HR data, tangible records of tangible activities. O-data is really helpful because it tells you about win rates, profitability by product line, and employee attrition. Most companies do pretty well with the operational data because it feels automatic. It’s easy to take for granted. But it feels automatic only because over the last twenty years, businesses have continually invested in the technologies that make automatic operational data possible. You used to have to call down to finance and ask a clerk to reconcile the books and come back in a month with a P&L statement. Today, you can take a snapshot at any moment in time and know exactly how your monthly sales goals are going, exactly how many people were hired last quarter, exactly how many pallets of fertilizer your Southwest region delivered in January. You have real-time access now because O-data systems have become necessary and ubiquitous. Companies that didn’t become data-driven, that didn’t demand immediate access to O-data, eventually got left behind. Most companies do pretty well with O-data. But O-data is no longer a competitive advantage. Companies need X-data. Unfortunately, most organizations are O-data rich, and X-data poor. This is why there are still so many surprises in business: O-data is no longer a competitive advantage on its own. O-data is data about the past. 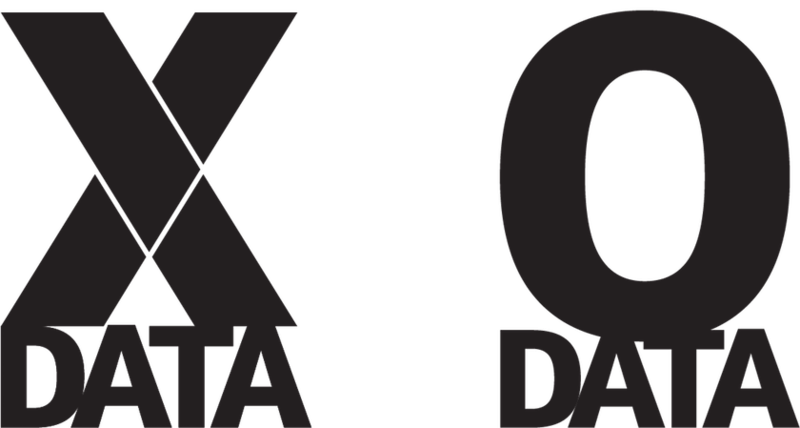 X-data is about the future. O-data tells you what happened. X-data tells you why it’s happening. And while there are plenty of technologies to help companies manage their O-data, until now there hasn’t been technology that makes it easy to capture and understand the X-data. There hasn’t been a way that makes it easy for organizations to measure all these critical human aspects of business. Because these companies are O-data rich, and X-data poor, they keep running into the gaps, and that’s where the surprises live. Companies that don’t master X-data will fail, just like those that didn’t perfect O-data. Yet, we meet lots of companies that manage not to get surprised. Customers of ours who keep getting it right again and again. 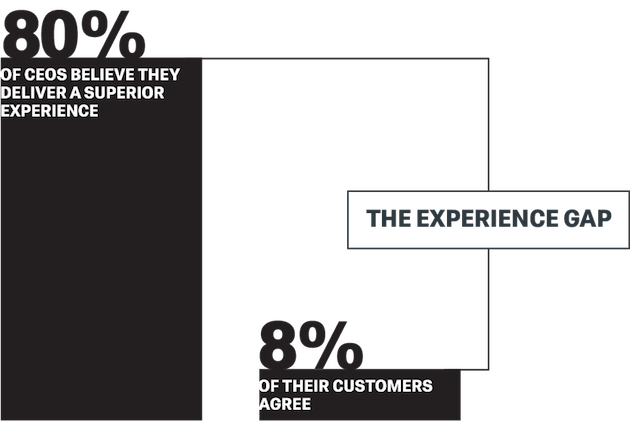 Companies that close the experience gap, that use experience data to stay one step ahead. The biggest trend we’re seeing right now is that those companies who avoid the surprises and are wildly successful, manage four core experiences. They obsess over product experience. They’re fixated on their customer experience. They steer every aspect of their employee experience. And they maniacally manage their brand experience. These four foundational experiences of business are not independent. They are interdependent. Consider one of our customers, JetBlue. It wouldn’t be that hard to copy Jetblue’s brand. You could copy their logo. You could copy their customer bill of rights. You could copy their ads. You could even copy their seats and their in-flight snacks. But you aren’t going to get the same results. Any one of these alone isn’t enough. You have to get your brand right, your product right, your employees right, and your customers just right. You can’t limit it to one; you have to get all four right or you’ll never thrive. These three trends — the need for better data, the experience gap, and converging experiences — call for new expertise and better tools. That’s why we created the Qualtrics Experience Management Platform to close the gaps. Experience Management will become core to your business, just like CRM is the system of record for sales O-data and an HRIS is the system of record for HR O-data. Experience Management isn’t just some new feature set. It’s bigger than that. XM is how you manage the four core experiences of any business. It’s how you build awesome products that people love. It’s how you delight customers at every touchpoint. It’s how you build a phenomenal employee culture. And it’s how you build iconic brands. XM is the system of record for all of your experience data. And with XM, there’s opportunity in the gaps. When institutions carefully and thoughtfully craft their product experience, their customer experience, their employee experience, and their brand experience, they’re closing the experience gaps. Disruption and gaps are a really important topic to me personally. Qualtrics was born out of a gap. My dad was a professor and a market researcher who was frustrated by a gap; he was having a terrible experience with the standard way of doing market research. It was expensive and time-consuming and often infuriating for those practicing it. The world was going online, but market research was stuck with pen and paper. Every traditional market research firm still saw their operational figures grow. Their O-data seemed great. But they had lost touch with their product experiences and their customer experiences. And that’s where we saw our opportunity for online research and now for experience management. X-data puts you on the right side of disruption. Because with X-data, you can see where the gaps are, block disruptive challengers, and lead out with new innovation. You can fill the gaps yourself by knowing your own business better. We’ve continued to attack experience gap after experience gap until we arrived at where we are today: 9,000 brands, the best universities in the world, and hundreds of thousands of users on the Qualtrics platform today. We’re all seeing together why X-data is the new imperative. Ryan Smith is the CEO and co-founder of Qualtrics. Follow him on Twitter at @RyanQualtrics. X4 2019 recap, day two: was that okay?